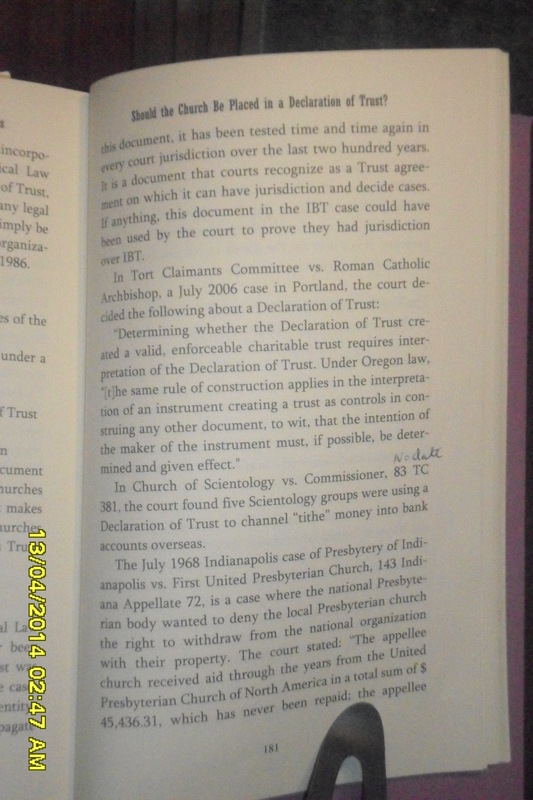 Then the section lists several religious organizations that allegedly “had a Declaration of Trust long before 1986.” This author will not take the time to investigate the truth of whether those religious organizations use DOTs, and, if so, the substance of the trust documents and the kind of trusts thereby created. There are enough obvious (to one who has studied and understands these matters) fallacies in this short section to demonstrate that the ELC misdirects the unwary. As shown throughout these articles, the ELC trust salad includes principles from business trust law, charitable trust law, corporation law, along with fallacies which are derived from the imaginations of ELC teachers (at best). ELC “teaching” mixes all these ingredients into a poisonous salad consumed by many good, unsuspecting believers. They should throw out their poisonous menu and adopt the law of ordinary trust used by the Biblical Law Center (“BLC”) or the ordinary Bible trust recommended by this “Separation of Church and State Law” ministry. Ironically, the ELC method of church organization leaves a church in legal entity status while the methodology of this ministry and that of the BLC leaves a church in spiritual entity only status (a non-legal entity) as long as the church does not compromise her position in some other manner. No BLC church uses a business trust. As this author explains in other articles in this series, the ordinary trust created by the DOT recommended by the BLC and the ordinary Bible trust recommended by this ministry is not a business trust, a charitable trust, or any kind of trust which is a legal entity. The ordinary trust and the ordinary Bible trust are merely relationships with property which cannot sue or be sued or act legally. Neither the ordinary trust nor the ordinary Bible trust is the church and the church is not the ordinary trust or the ordinary Bible trust. When a church places tithes, offerings and gifts into the estate of an ordinary trust or an ordinary Bible trust, the church does not give up her non-legal entity status by so doing because the church holds or owns no property – the equitable, beneficial and true owner of the trust estate (the money and property held by the trust) is the Lord Jesus Christ. The ordinary trust and the ordinary Bible trust differ from the trust arrangement recommended by the ELC in that under the ELC methodology, the “property should be held by the church in trust for the Lord Jesus Christ, who is the true and beneficial owner,” and “the church by the Pastor, can execute a deed on behalf of the Lord Jesus Christ.” Only a legal entity can hold property. 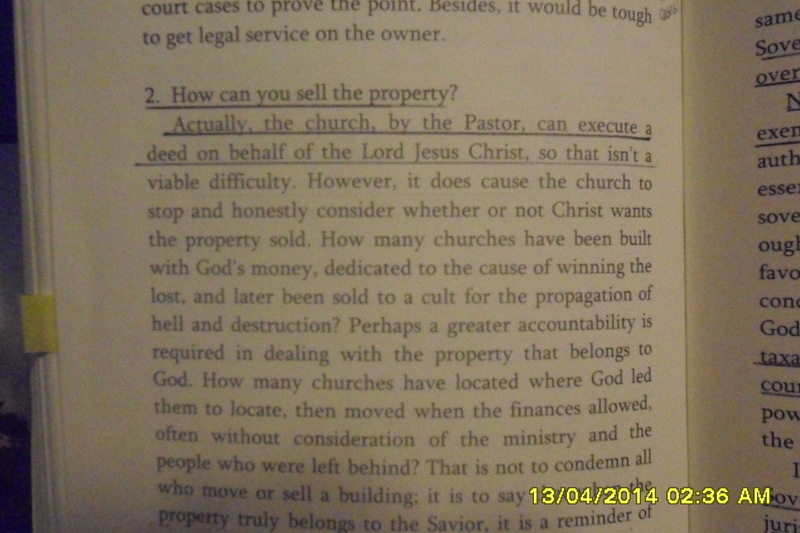 An ELC church holds property in trust for the Lord Jesus Christ, the true and beneficial owner of the property. An ELC church is therefore a legal entity, a business trust; this conclusion is supported by what the ELC publishes and teaches concerning trust law. Approved by ManBen TownsendWe can't give it to other churches! This ELC section is no argument at all, but pretends an argument. 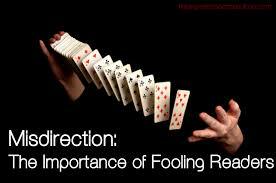 It is much ado about nothing, a feeble attempt to misdirect. This author empathizes with those who follow the ELC recommendations as to church organization. He feels sorrow in the Lord for the ELC leaders who make unlearned attempts to discredit the BLC while not recognizing the serious flaws in ELC methods for church organization. Only through serious study can one immersed in ELC teaching begin to understand this. How is it the business of the ELC to complain about the fact that the BLC will not help some churches? Nonetheless, the ELC raised the question, so this article will look at their infantile argument. Two points will be made. First, when this author was lead counsel for the BLC, the BLC tried to help every church who met basic Baptist criteria for a New Testament church. It became obvious that the Declaration of Trust and ordinary trust utilized by the BLC could not be adapted to certain theologies. Not only legal but also biblical principles are incorporated into the DOT and the ordinary trust utilized by BLC churches. Where possible, the BLC offered suggestions to churches whose theologies were not compatible with the BLC suggested methodology. Neither the BLC nor the “Separation of Church and State Law Ministry” is a buffet line with something for everyone; the goal of each is to Glorify God, not to make money, especially at the expense of compromise of biblical principles. Second, any church is free to go to the law books and research the concepts of the ordinary trust and the legal principles for drafting a properly worded DOT which comports with the theology of that church. Neither this ministry nor the BLC wishes to spend its time researching other theologies and developing a system for those churches to remain out from under civil government control. Both ministries have studied in depth what the King James Bible teaches concerning the relevant doctrines of government, church, and separation of church and state. Neither ministry believes that the doctrines of some non-Baptist and some Baptist churches comply with New Testament doctrine. In fact, the traditional doctrines of any “Protestant” church and all Catholic “churches” would combine church and state. Even should a version of Protestantism reject their historic position which supports union of church and state (I know of none who have, but have not researched this in depth). For the most part, protestant churches remain true to tradition and are incompatible with the historical Baptist and biblical concept of “separation of church and state.” (See Is Separation or Church and State Found in the Constitution? as a starting point for more on this issue.). As a sidenote, contrary to ELC misinformation, there are now many more than forty churches utilizing the DOT and the ordinary trust thereby created. “This Business Trust Instrument is used far and wide by nearly every type of organization on the face of the earth.” [Then, the article lists some organizations that use the “business trust instrument.”]. That listing ends the section. No BLC church uses a business trust. 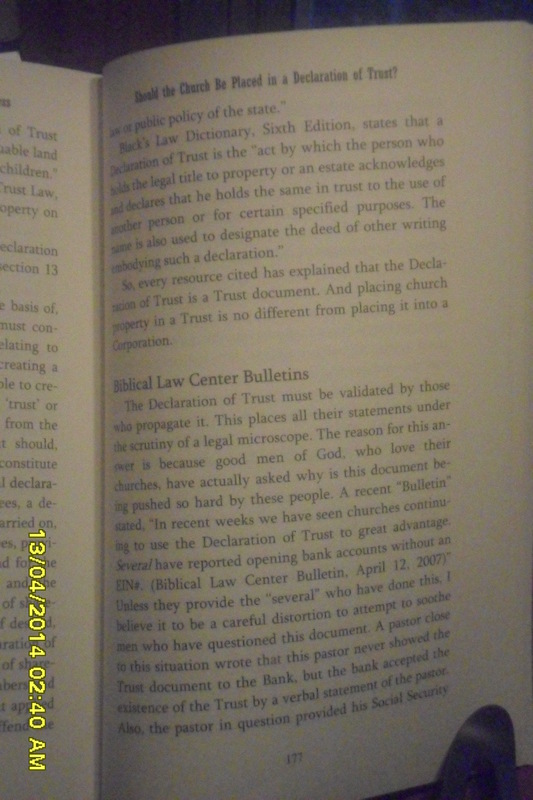 As this author explains in other articles in this series, the ordinary trust created by the DOT recommended by the BLC and the ordinary Bible trust recommended by this “Separation of Church and State Law” ministry is not a business trust, a charitable trust, or any kind of trust which is a legal entity. 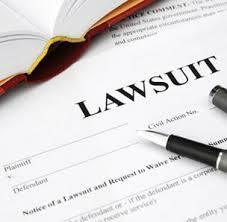 The ordinary trust is merely a relationship with property which cannot sue or be sued or act legally. The ordinary trust is not the church and the church is not the ordinary trust. When a church places tithes, offerings and gifts into the estate of an ordinary trust, the church does not give up her non-legal entity status by so doing because the church holds or owns no property. Remember, as pointed out in various places in this booklet that the true, equitable, and beneficial owner of the trust estate is the Lord Jesus Christ, not the church and not the trustee. 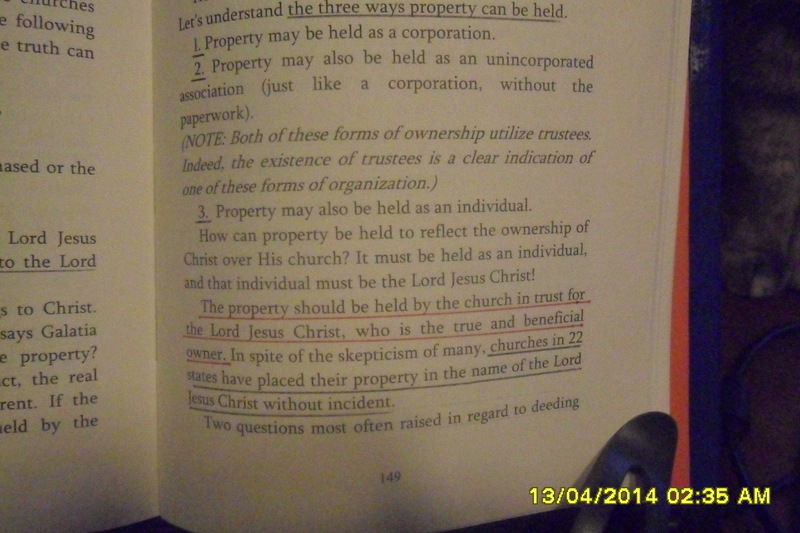 This type of declared trust differs from the trust arrangement recommended by the ELC in that under the ELC methodology, the “property should be held by the church in trust for the Lord Jesus Christ, who is the true and beneficial owner,” and “the church by the Pastor, can execute a deed on behalf of the Lord Jesus Christ.” Only a legal entity can hold property. A church places tithes, offerings, and gifts into an ordinary trust, the type trust used by the BLC and by this SCSLM. On the other hand, an ELC church holds property in trust for the Lord Jesus Christ, the true and beneficial owner of the property. In other words, one who understands these matters can see that an ELC church is a legal enitity, thereby defeating the ELC argument that the ELC church is under the Lord Jesus Christ only. The church who uses an ordinary Bible trust holds or owns nothing. Ben TownsendEcclesiastical Law CenterMore Exclusivity StatementsWhy such a strong stand against the Declaration of Trust? See Comparison of Bible Trust (ordinary (Bible) trust), Incorporation (includes corporation sole), and Ecclesiastical Law Center Trust for a concise chart of the differences each brings to church organization. 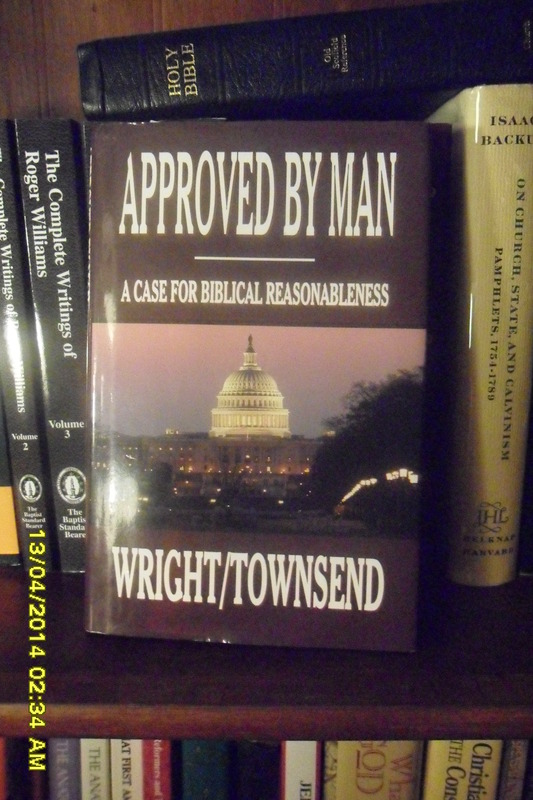 When this author became lead counsel for the Biblical Law Center (“BLC”), he began a period of intense study. His main goal was to satisfy himself that he was on solid biblical (first and foremost) grounds. Had he found that the Declaration of Trust (“DOT”) was not correct according to both Bible precept, he would not have continued his position as lead counsel. After 2½ years of intense studies, he concluded not only that the DOT created a trust relationship in line with Bible precept but also was recognized by American law. When he left the BLC in 2011, he and Dr. Greg Dixon were in agreement as to the fact that the DOT created a type of trust (which trust law calls an “ordinary” trust) which describes a relationship with property whereby a trustee (the legal owner) holds the property for the benefit of the true and equitable owner of the property, the Lord Jesus Christ. The concept of the ordinary (Bible) trust was not invented in 1986, as the ELC points out in this section. The God-given precept of a trust relationship with money and property was implemented in the church context in 1986 by Attorney Al Cunningham who founded the BLC. 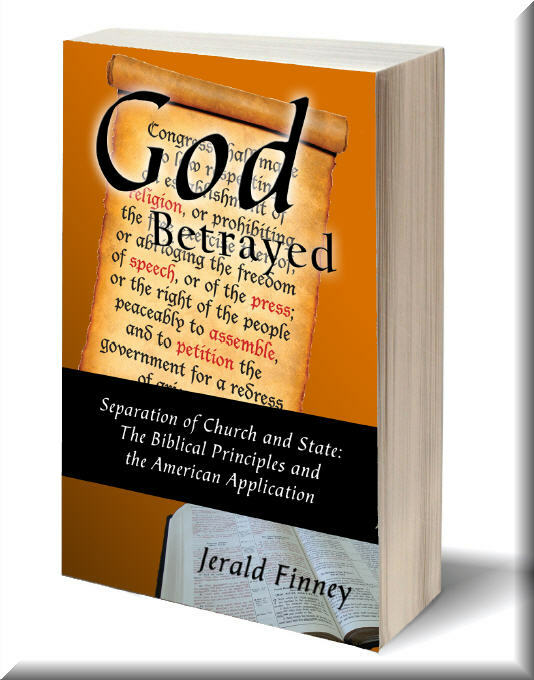 This author explains the legal and biblical basis of trust (the ordinary (Bible) trust) in Section VI, Chapter 7 God Betrayed/Separation of Church and State: The Biblical Principles and the American Application (Click the link to go to the online version). This author, by necessity of countering long published and continuing ELC attacks against the DOT and the ordinary trust thereby created, is also explaining certain facets of the ordinary (Bible) trust in this series of articles. Navigating a particular law in the legal system is not as easy as it might seem. Here is a rack with the volumes from AM. JUR. 2D AND AM. JUR. 2D forms. This is only a good starting place to understand the law of trusts. 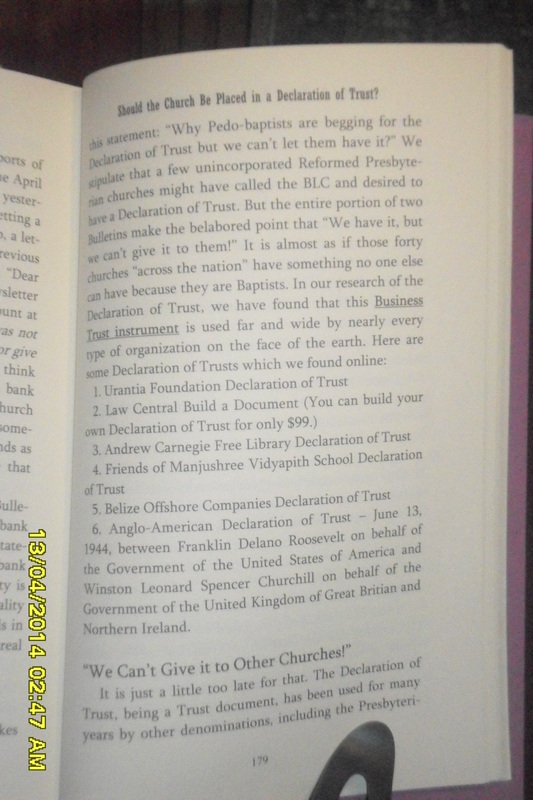 The ELC asks in “The Propagation of the Declaration” section of Chapter 18 of Approved by Man, if the DOT has ever been used by churches, and what entities have used this “magic document.” The DOT used by the BLC has created many ordinary trusts and the trust estates of those trusts include the tithes, offerings, and gifts of many churches. After becoming lead counsel for the BLC, this author met and/or talked with many of the pastors of churches for whom the BLC had already helped establish an ordinary trust. After becoming lead counsel, he met others who came to the BLC for help and who adopted a DOT and put into operation the ordinary trust thereby created. In 2011 this author stepped down as lead counsel for the BLC and became head of the “Separation of Church and State Law” ministry of Old Paths Baptist Church (SCSLM). Recently, he adopted the appropriate name for the ordinary trust when utilized by churches: the Bible trust. Many churches are now putting tithes, offerings, and gifts into the ordinary (Bible) trust which is recommended by this ministry and the trust recommended by the BLC. Contrary to the assertion of the ELC in this section, any law book cannot explain the DOT and the ordinary (Bible) trust thereby created. 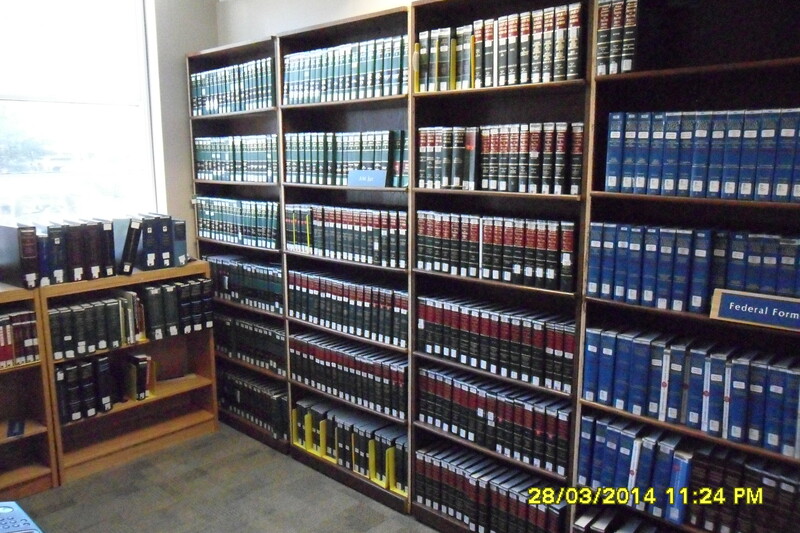 There are untold thousands of law books covering every area of the law. Most of those never mention trust law. Moreover, every book on trust law cannot explain the DOT which creates the DOT and the ordinary (Bible) trust thereby created. Some law books (or sections thereof) and court cases address various issues concerning charitable trusts, some business trusts, some ordinary trusts, and the use of the DOT to create the particular type of trust being examined. Any competent lawyer or paralegal knows that one must be able isolate the issue(s), court cases and law(s) relevant to the questions at hand. Should a lawyer present to the court irrelevant law, unreliable law, and/or incorrect law, his opponent would make him look like a fool and the judge would declare his arguments facetious. That is the case of common sense as applied to legal disputes. The same discernment cannot be expected of pastors and believers who have not studied trust law; many have relied upon the facetious teachings and aid of the ELC in ordering their affairs. They have done so because they themselves simply have not been called to know it all and many have become easy prey for the ELC. 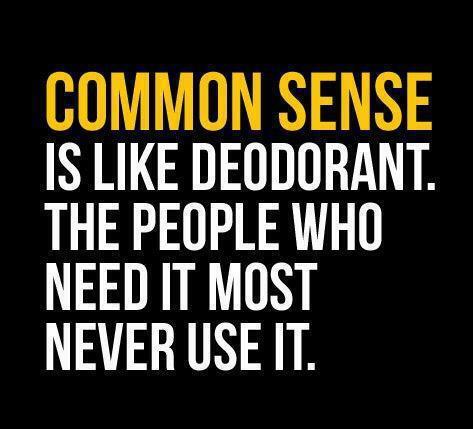 Common sense—and more importantly for the believer, biblical sense—should be a rule for all issues, legal or otherwise. The author humbly submits that the judge of the dispute between this ministry and the ELC must use not only common sense, but also biblical sense, in seeking out whom to believe as to these matters. This exchange between the ELC and this ministry is presenting two opposing arguments to those serious readers who will judge this exchange. The ELC challenge, along with personal attacks, pseudo-legal arguments, etc. have been published verbally, online, and in printed publications made available for public consumption for many years. This series of articles is the first public response to those attacks by this, or any other, ministry. For His Glory, this author humbly submits that one should be diligent in his search for truth concerning these most important matters. 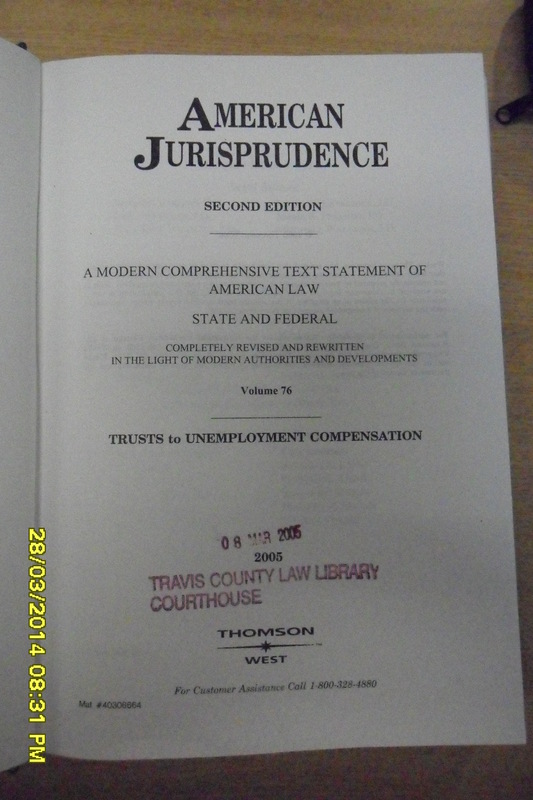 After online publication of the first eight chapters of this booklet, Ben Townsend of the ELC partially explained Chapter 18 of Approved by Man – he admitted that he did not know much about trusts in Section 2 of an online response entitled Give and Take (See Chapter 9 and 10 for a response). He also admitted in an article entitled “A Law, Made by Man, Will be Changed” a very important truth which is in direct contradiction to what he has asserted in books and online articles—that the “ordinary trust” is not a legal entity (See Chapter 13). That admission is only partially true since, as explained in other chapters, some types of trusts are legal entities and only the ordinary trust is not. In other words, he admitted that he attacked the BLC, the DOT, and the ordinary trust without knowledge, understanding, and wisdom. He completely discredits all he has published on these matters by his admissions. A study of ELC teaching reveals that the ELC method of church organization is confused, unlearned, and ill-advised. The ELC system results in churches who are legal entities which are subject to and have been involved in the legal system. Thank you, ELC, for waking up our brain cells. In the following analysis, ELC quotes will be in red in quotation marks and analysis of their statements in black. This chapter exposes and defeats the false, virulent, hostile accusations and conclusions of the ELC in this section of their article. 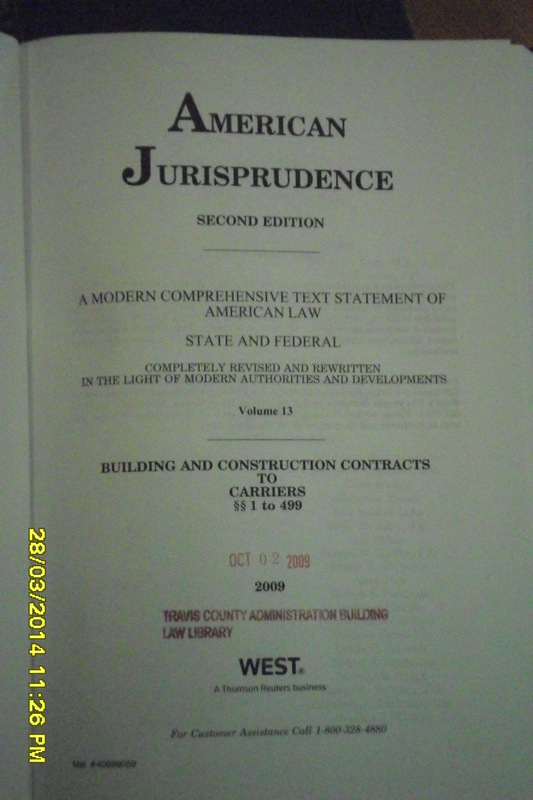 This author, an attorney, has placed BLC documents under a “legal microscope.” His qualifications: legal research at Jr. College prior to going to law school, graduation from one of the best law schools in the country (The University of Texas School of Law), continuing to study and apply legal research and analysis, and practicing law for twenty-one years. In addition to that, he, a born-again believer, has spent just as much time studying the biblical doctrines of government, church, separation of church and state and the application of those principles in the United States. Studying and growing in knowledge, understanding, and wisdom are prescribed by God’s word, but some will make fun of someone who actually obeys these directives. A pastor is just one member of a church body. The other members are told to exercise their gifts and work with the other members, including the pastor, in fighting the spiritual warfare believers and churches are involved with. Sadly, some pastors think they know it all and can do it all just because they are the pastor. They cannot possibly know it all and do it all. Hence the need for a member who, according to God’s call, studied legal, as well as, Bible matters. This author finds nothing out of order with the basic concepts concerning the Declaration of Trust (“DOT”) and the ordinary trust thereby created. A properly worded and executed Resolution and DOT and the ordinary (Bible) trust thereby created implement biblical principle, conform to the biblical doctrine of trust, are provided for in American law, and allow a church to remain under God only. The analysis below again shows that the ELC will say anything to support their attack on the DOT and the ordinary (Bible) trust. The ELC constantly approaches pastors and others about their ideas concerning church organization. They try to recruit people to their way and condemn other methodologies. This is a good thing as to church corporate (including corporation sole), unincorporated association, and 501(c)(3) status. However, the ELC method is seriously flawed, and yet they incessantly attack the use of the ordinary (Bible) trust and the DOT which creates it. Their attacks are wrong and not according to knowledge, as this series of articles shows. One can certainly ask why the ELC method is being pushed so hard by those who promote it; the answer is bias, motive and lack of knowledge. Contrary to what the ELC asserts in the above paragraph, the pastor/trustee of an ordinary (Bible) trust does not open a church account. He opens a trust account. The church who used the DOT and ordinary trust thereby created is not a legal entity and cannot open a bank account; for a church to open a bank account makes the church a legal entity. Although the ELC method uses cash only, a church which utilizes the ELC method is a legal entity as is proved in other parts of this booklet. When this author was lead counsel for the BLC, a number of churches adopted the DOT and the ordinary trust which was recommended by the BLC. A bank account was opened for the trust by the Pastor/trustee in each instance; the pastors were able to do so using their social security number. One of those pastors is now the pastor of the church to which this author now belongs, Pastor Jason Cooley, who opened a trust account for the trust created by the DOT. Pastor Cooley provided his Social Security Number in opening the account. He did not open a bank account in the name of the church. To have done so would have made the church a legal entity. When Pastor Jason looked at incorporation and IRS tax exempt status he realized that such devices violate New Testament church doctrine. A mutual friend referred Pastor Jason to this attorney concerning church organization. They spent many hours discussing the DOT and the trust thereby created as Pastor Cooley studied the Bible doctrine of the church, the DOT, and the ordinary trust. Prior to discussing these matters with this attorney, he had talked with ELC men. He studied both the ELC recommended methods and those of the BLC. The church (Old Paths Baptist Church) resolved to adopt the DOT and ordinary trust recommended by the BLC. The BLC helped him do this. This Old Paths Baptist Church “Separation of Church and State Law” ministry has helped other churches execute a DOT and ordinary (Bible) trust with no problems in opening a bank account for the trust. In each case the pastor/trustee provided his social security number in opening the account. The ELC is confused and does not understand that the a church who creates a trust recommended by the ELC is a legal entity; nor do they understand that ta church which establishes an ordinary (Bible) trust is not a legal entity as long as that church does not compromise her position in some other manner. The ELC does not understand that their trust can be classified as a legal entity whereas the ordinary (Bible) trust cannot. The ELC is against bank accounts for their church trust (a legal entity). 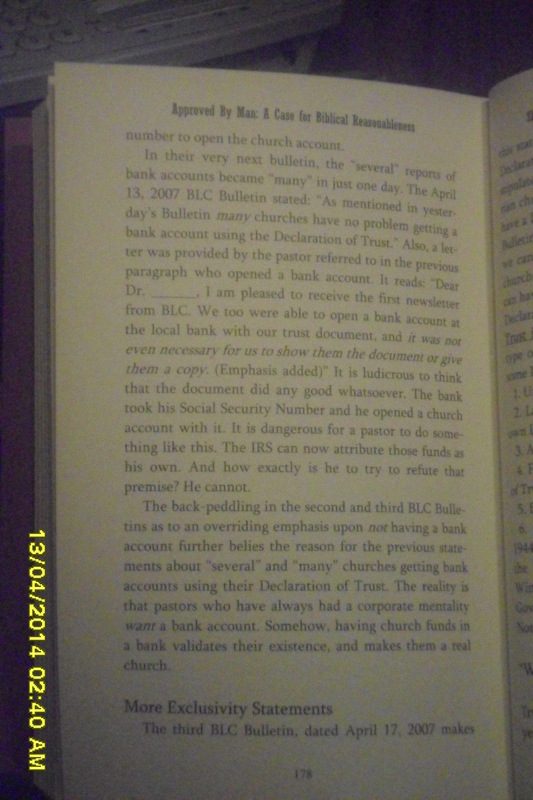 This “Separation of Church and State Law Ministry” has no problem with opening a Bible trust bank account since (1) it can find nothing wrong with so doing, biblically or legally (Since the legal system recognizes the principle of the Bible trust); (2) the trustee opens the account for the trust, not for the church since the church is a non-legal entity which holds no money or property; (3) ordinary Bible trusts are administered by pastors/trustees with integrity who wish to be light to the world and have nothing to hide. These matters are explained more thoroughly in other articles in this series. The pastor/trustee of either an ELC trust or an ordinary Bible trust is a legal entity. Every citizen in his right mind is a legal entity who can act legally in many ways. As pastor/trustee, he can do things which subject him to the civil government legal system (criminal and/or civil) should someone file a complaint (criminal) or initiate a lawsuit (civil). Civil government will take jurisdiction (criminal or civil) to any dispute over money or property to which the government is alerted and which contravenes criminal or civil law. As long as one does right, according to the law, he can only be brought into the legal arena as a defendant (either criminal or civil) by lies or misleading circumstances. The church which places tithes, offerings, and gifts into an ordinary Bible trust to be held by the trustee for the benefit of the true owner of the property, the Lord Jesus Christ, cannot be brought into a lawsuit or charged with a crime since it is not a legal entity; this is not true of the church organized according to ELC methods. Someone who is a member of a church, no matter how the church is organized, can be the subject of a criminal charge or civil suit should a proper criminal complaint be made or civil lawsuit filed. Again, the ELC does not know what they are talking about. The pastor did not open a church account. The pastor opened a trust account. The government already had his social security number as well as that of anyone who has a social security number. Should a pastor open an account in his name as an individual, the IRS can attribute the funds to that pastor. However, when a pastor/trustee of a Bible trust opens a trust account, those funds cannot be attributed to the pastor. A properly worded and executed Declaration of Trust and supporting documents validates and explains the Bible trust so that the bank, the IRS, and anyone else may examine the documents if allowed to do so by the pastor/trustee. American law which recognizes the Bible trust rather than providing for the creation of such a trust and the elements thereof. State law does not provide for creation of a Bible trust whereas state law provides for creation of a corporation which is a creature of the state. The ordinary trust for which he opened the account is not a legal entity as is, for example, a corporation. (See, Is the ordinary trust a legal entity?). The Resolution Adopting the DOT and the DOT make clear that the trust is not a legal entity and that the trust creates nothing more than a means, recognized by the legal system, to hold and manage money and property. The law says an ordinary trust is not a legal entity: the law says this because the very nature of the ordinary trust is clear – by its very nature, such a trust cannot be a legal entity. Always remember, the ordinary Bible trust is not the church, the church is not the the trust or the trustee, and the church does not hold property by a trustee as in the case of the ELC trust. This attorney recommends that the pastor/trustee take the Resolution and the DOT which creates the ordinary Bible trust with him to the bank when he goes in to open a trust account. Should the bank wish to see the documents, the pastor/trustee should show the documents to the bank. There is nothing wrong with doing so. He has nothing to hide. In fact, by shining light, he glorifies the Lord Jesus Christ. As to the bank taking his social security number (“SSAN”), if the pastor/trustee has a social security number, he should show it to the bank. If he has never had, or has tried to disown, a SSAN, he is fighting another battle which this author has considered but concluded that that fight involves something about which he is not convicted. The pastor/trustee should show his SSAN to the bank because it is an identifying number for which he has not had to betray the Lord; he is stuck with it, but by using it in this context, he does not implicate a church nor does he endanger himself. Whether one has a SSAN or not, he is a legal entity and he can be held accountable by the civil government for wrongdoing brought to the attention of the civil government. See The Biblical Doctrine of Government for more insights on the jurisdictional boundaries of each type of God-ordained government. The bank will not attribute those funds as being “his own” (belonging to the pastor). Most banks understand trust law and the different types of trusts. Many have their own trust departments. They know that this type trust is an ordinary trust. They know that the pastor/trustee merely administers the funds for the benefit of the true, equitable, beneficial owner of the money. The IRS also understands trust law. Neither the banks nor the IRS are bound by ELC’s perverted statements of what the ELC says is the law. The banks and the IRS are bound by established law. The Resolution and the DOT refute ELC perversions of the law and are there to dispel any doubts. In conclusion, one could rationally conclude that the writer of Chapter 18 is a half-postmodernist. A postmodernist believes he can create reality through his rhetoric, but also believes that all truth-claims are equal – The first half can be applied to ELC teaching but the second half cannot since the ELC believes that only its truth claims are true when in fact they are nonsense. The ELC articulates a case not according to the facts. I would love to face their pseudo lawyers in a court proceeding called to determine the truth about their ridiculous assertions. They would not stand the chance of a snowball in hell. Fortunately for them, they appeal to many good believers who are duped by their con and do not have the expertise to examine ELC lies and distortions. This booklet serves as a guide to those who take the time to study these matters out. The important thing is truth, not ad hominem attacks by ELC leaders desperate to defend their unlearned positions. Note. This is a continuation of the examination of a chapter of an Ecclesiastical Law Center (“ELC”) Publication, Chapter 18 of Approved by God. This article looks at the sixth section of that chapter. The sixth section of chapter 18 asks a question which, in and of itself, is very puzzling to the person studied in the law of the ordinary trusts. The question is, “Has it ever been tested in Court?” What is the “it” being referred to and what does “tested in court” mean? (a) A trust is not a legal entity. (Stevens Family Trust v. Huthsing, 81 S.W.3d 664 (Mo. Ct. App. S.D. 2002), reh’g and/or transfer denied, (July 12, 2002)). (b) A trust is not an entity distinct from its trustees and capable of legal action on its own behalf, but merely a fiduciary relationship with respect to property. (Roberts v. Lomanto, 112 Cal. App. 4th 1553, 5 Cal. Rptr. 3d 866 (3d Dist. 2003), review denied, (Feb. 24, 2004). (c) A trust is not a legal “person” which can own property or enter into contracts, rather, a trust is a relationship having certain characteristics. (Dennett v. Kuenzli, 130 Idaho 21, 936 P.2d 219 (Ct. App. 1997). The ELC will only cite and consider, when attacking the BLC and the ordinary trust, cases which involve legal entity types of trusts (such as business trusts and charitable trusts) so that they can make the assertion that “it has been tested” in court. This author was asked, at the 2011 Unregistered Baptist Fellowship” conference in Indianapolis, Indiana the same question, “Has it ever been tested in court?” and he has heard the question on numerous other occasions. At the time, he suspected that the questioner was affiliated with the ELC. He thought that the reference was to the ordinary trust into which BLC churches place their tithes, offerings, and gifts and the DOT which created that trust; and he further thought that by “tested in court” was meant, “Has the court disregarded the DOT and the trust thereby created and attempted to bring the church into court as a legal entity anyway?” As to the question in the last sentence, the author’s reply is: In several cases the author knows of since beginning to work with the BLC, the court knew that the church was not a legal entity which was subject to court jurisdiction. In one case the prosecutor, in a zoning dispute initiated by the government, acknowledged that church was not a legal entity (the church put tithes, offerings, and gifts into a trust); therefore, the church could not be brought into court. In another such case involving an Indianapolis church which adopted the BLC recommended DOT and ordinary trust thereby created, the church members placed tithes, offerings, and gifts into the trust thereby created. The government challenged the zoning status of the meetinghouse. The DOT had nothing to do with the case and the government recognized that the church was not a legal entity; therefore, the court could not bring the church into the controversy. The case ended in victory and the use of the real estate for a meeting house was upheld. Of course, the church which places tithes, offerings, and gifts into an ordinary trust for the benefit of the true, equitable, beneficial owner of the money/property is clearly not a legal entity. That is what the law says and that corresponds to reality. The church has to entrust someone with tithes, offerings, and gifts which are given to the Lord Jesus Christ. The person so entrusted is, by definition, a trustee and the true owner is, of course, the Lord Jesus Christ. Reality, biblical principle, and American law agree on this matter. Contrary to the assertions of the ELC, civil courts may assume jurisdiction over people and land (no matter how the land is held) when a proper suit within the jurisdictional boundaries of the court is initiated. Believers and others in America have been blessed. Christians and churches have the protections of the First Amendment which were won by the persecutions and sacrifices of our historical Baptist forefathers; the First Amendment protects the citizen in his exercise of religion, assembly, press, speech, and his right to petition the government for a redress of grievances. American civil government does not tax land being used for “religious purposes.” However, believers and churches in many countries – such as Korea, China, many Muslim countries, and many other nations – are not so fortunate. In many nations, if one is found with a tract, speaking positively of the name of Jesus, possessing a Bible, etc., either the government or the local religious mob will send him home to be with the Lord. 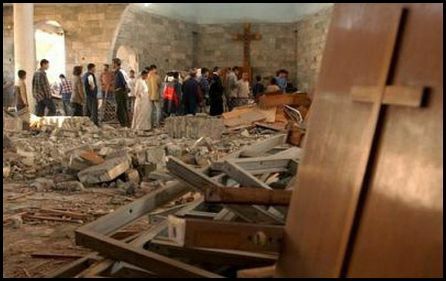 No land or buildings will be allowed for meeting by Christians. If it is tried, they will be confiscated and/or destroyed. The guaranteed fate of church meetinghouses in some nations. Their answer is partially right and partly wrong. They are right in saying that a non-legal entity cannot be a party to a suit; but, if a piece of real estate is the center of a zoning issue, for example, the agency/court will petition the legal owner of the property. Of course, the agency/court cannot petition the Lord Jesus Christ, who under both the ELC method and ordinary trust method, is the true, equitable, or beneficial owner. If there is no legal owner of the property, the agency/court will take the necessary legal steps to take control of the property. “How can property be held to reflect the ownership of Christ over His Church? It must be held as an individual, and that individual must be the Lord Jesus Christ! The property should be held by the church in trust for the Lord Jesus Christ, who is the true and beneficial owner. In spite of the skepticism of many, churches in 22 states have placed their property in the name of the Lord Jesus Christ without incident.” (Ibid. 149). Actually, the church, by the Pastor, can execute a deed on behalf of the Lord Jesus Christ.” (Ibid. 150). A properly worded Declaration of Trust which establishes an ordinary trust into which a church places tithes, offerings, and gifts makes clear that the church has no property and that the church has no interest in the money/property being placed into the trust estate and that the trust estate belongs only to the true and equitable owner, the Lord Jesus Christ, to be used for His benefit. The ELC church could try to maintain their position that the government has no jurisdiction. The ELC might recommend that no one appear to admit jurisdiction or that someone, perhaps the trustee, make a special appearance to challenge jurisdiction only. To begin such a case, the appropriate agency (many actions start in government agency with provisions for appeal into court should the final agency decision be contested) the agency or court would have to serve some legal entity. Every citizen of this country in his right mind is a legal entity. Should they serve the pastor and he not appear, the agency or court would probably decide the issue (in court by a default judgment). Should they serve the church and an authorized representative of the church not appear, the result would be the same. Should the church appear and assert that she was not a legal entity, the agency/court would need proof that the church was not a legal entity. The government attorney, if he was familiar with the issue and ELC teachings, could argue that the church, by the ELC’s own admission and declaration is a legal entity such as a business trust or charitable trust. Should a church appear and lose the jurisdictional issue, what would the next step be? The church would have already admitted that the court had jurisdiction over the jurisdictional issue by making an appearance. The court would probably and correctly rule that the church was a legal entity. Therefore, disregarding the court decision on that issue would be futile and non-appearance thereafter would probably result in a default judgment. That whole first paragraph is a total distortion of what happened in the IBT (“Indianapolis Baptist Temple”) case. To fully and rationally explain all that happened in that case would require a lot of time and explanation. Suffice it to say for now and for purposes of the analysis of this section of Chapter 18 that the ELC effectively concedes in the last sentence of the above quoted paragraph that the court did not use the IBT trust document to prove they had jurisdiction over IBT. This author will offer the following true statement: the court did not (which, as pointed out, the ELC concedes in the paragraph above) and could not have used the trust document to prove they had jurisdiction over IBT. IBT has continued since the court case was settled and the government confiscated the property. IBT has operated under a DOT since and has not been summoned into court or agency proceeding. The property tax exemption allowed the property owner who leases the property in which IBT meets (not IBT) still gets a property tax exemption on the property since the property is used for religious purposes, even though the local property tax board has contested the exemption more than once. Of course, IBT was not summoned or subpoenaed since IBT is not a legal entity. I did a Westlaw search of Oregon courts of appeal, Oregon Supreme Court, and United States Tax Court using the case name given in the article as well as the name of each party. I found no such name. If there is indeed such a case, any reliable writer would have included the citation so that the case could be easily found. The authors did give the citations for the next two cases, and I easily found and read them. (See below). I can therefore only analyze what is written in the first article about the alleged case, Tort Claimants Committee vs. Roman Catholic Archbishop. On its face, it is not on point, even though the statement quoted is valid. It applies to a charitable trust, not an ordinary trust and the Declaration of Trust which created it. I pulled that case up on Westlaw and examined it. (See En 1 for a summary of the case.). The case is not on point for many reasons besides the main point relevant to this this article: the trust involved was a charitable trust. I include a summary of the 105 single spaced on 8 ½ x 11 inch page case in En 1. 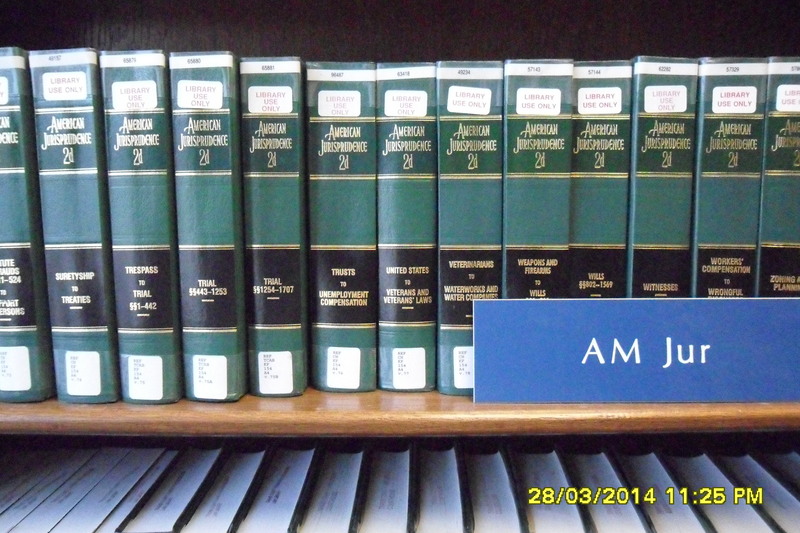 One can go to the law library read the case to verify the truth of this author’s assertions. 11) Does the application of common law charitable trust doctrine to churches, requiring their conformity to fundamental public policy standards evidenced by criminal or civil statutes, violate the free exercise clause of the First Amendment because there are less restrictive ways of regulating church-sponsored misconduct? 12) Does the retroactive application of public policy standards derived from the common law of charitable trusts to petitioner’s operations deprive petitioner of due process of law in violation of the Fifth Amendment? Church of Scientology vs. Commissioner, 83 TC 381, 384 (1984). Again, a charitable trust is a legal entity. An ordinary trust is not. Nothing in this case is relevant to the ordinary trust or the ordinary Bible trust and the churches who place their tithes, offerings, and gifts into such a trust. Read the summary in En 1 (or the case) to verify this. The final case cited by the ELC in this section is Presbytery of Indianapolis vs. First United Presbyterian Church, 143 Indiana Appellate 72. “The Appellate Court, Bierly, J., held that decision of authorized judicatory of hierarchial church denying petition of local congregation for leave to withdraw and take with it certain property was binding on state courts, notwithstanding that title may have been in corporation as grantee; use and occupancy of local church was matter of ecclesiastical government which could not constitutionally be impaired by any state legislation nor by any action by state judiciary. Reversed.” (Presbytery of Indianapolis vs. First United Presbyterian Church, 143 Ind. App. 72 (1968)). “This property appears to have been purchased * * * in the ordinary way of business, * * * and conveyed to the trustees by a general warranty deed, without condition of limitation. It is entirely clear that no trust, express or implied, is attached to the title. Appellants (plaintiffs) at no time had any interest in the property except as members of a congregation which was an integral part of the ecclesiastical society known as the Cumberland Presbyterian Church. Our only duty is to determine the identity of the ecclesiastical successor of the original grantee. This we have seen has been determined for us, since the union of the Cumberland Church (which was incorporated and acquired the property as a corporation before combining with the Presbyterian Church) with the Presbyterian Church carried into the United body all its property. The validity of that union appellants cannot question, and in it they must acquiese or defy the decrees of the church to which they pledged allegiance. Consciences cannot be bound, and if in the assertion of individual opinion and conscientious dictates appellants segregate themselves from the body of the church, they must depart as they came in—empty-handed. The court did not err in overruling appellants’ motion for a new trial.” Ibid. 83-84. By the way, neither this “Separation of Church and State Law Ministry” nor the BLC will help a Presbyterian Church to establish an ordinary trust. It is impossible to help a Presbyterian church because the ordinary trust is as recommended by these ministries is not compatible with Presbyterian theology. Yes, should someone use the ELC method of legal research and analysis, many cases (probable thousands) similar to the cases above could be cited which have absolutely nothing to do with anything relevant to the ordinary trust and the DOT recommended by the BLC or this ministry and any rationale definition of “has it ever been tested in court?” If relevance is not to be considered, all one need do to find such cases as cited by the ELC is a Westlaw or LexisNexis search for cases which contain the word “trust” and/or “Declaration of Trust” select a few such cases and cite perhaps a sentence or two from each selected case which contain the “trust” or “Declaration of Trust,” and/or make some nonsensical comment. A New Testament church who puts tithes, offerings, and gifts into an ordinary trust should be careful not to do anything which makes them a legal entity: open bank account, contract, etc. The ELC is right about the DOT when they say it is not secret and it is not modern. It has been around for hundreds of years. The concept was established by God. As to the last sentence of the ELC quote above, the ordinary Bible trust created by the DOT recommended by this author and the ordinary trust recommended by the BLC is not a way for the pastor to become the sole legal Trustee of all the church assets. When a properly worded DOT creates an ordinary trust into which a church places tithes, offerings, and gifts given to God in trust for the benefit of the true owner of the property to be administered by the trustee who has a fiduciary duty under God to use all the trust estate for God, the church remains a non-legal entity which cannot sue, be sued, contract, go into debt or act legally in any way; such a church, under the ordinary trust recommended by the “Separation of Church and State Law” ministry, has no physical assets; all the assets of such a church are spiritual. Note: Should such a church act legally (open a bank account, get insurance, etc. ), the church becomes a legal entity in spite of the fact of the ordinary trust or DOT. Read the online PDF of Quick Reference Guide for Churches Seeking to Organize According to New Testament Principles for nutshell information on pitfalls for the church which utilizes the ordinary trust. Note that a church which places tithes, offerings, and gifts in an ordinary trust estate gives to God. The church does the giving and – unlike gifts to a corporate church, a business trust church, or a charitable trust church, which are given to the corporation the business trust, or the charitable trust – the giving is to God. None of the cases cited by the ELC make any point at all concerning the DOT and the ordinary trust created thereby; they support nothing the ELC is trying to argue. Truly, this whole ELC section is total nonsense and will serve to convince only those who are unknowledgeable concerning these matters. Most of the good folks who follow the ELC teachers never will have the time to do the studies necessary to examine ELC writing and teaching and therefore are easy prey to outright fallacies. The real tragedy is that good, well-meaning, born-again pastors and believers have followed these teachings, some for many years. Petitioner, a Church incorporated in the State of California, was granted tax-exempt status in 1957 under sec. 501(c)(3), I.R.C. 1954. In 1967 respondent sent petitioner a letter revoking its exemption following audit of petitioner’s records which was in part sparked by litigation involving the tax-exempt status of an affiliated Church of Scientology. Subsequent to issuing the letter of revocation, respondent conducted several audits of petitioner’s records for various tax years and also reviewed the tax status of several affiliated churches. Petitioner was also investigated by several intelligence groups which respondent specially formed during 1969 through 1975 to investigate taxpayers allegedly selected by essentially political criteria. During the period that petitioner’s taxes were under administrative review, petitioner conspired to prevent the IRS from determining and collecting taxes due from petitioner and affiliated churches. Petitioner sold religious services, books, and artifacts according to a fixed fee schedule through its branch churches and franchises. Petitioner’s profits from these sales were not less than $1,494,617.53 in 1970, $881,131.18 in 1971, and $1,707,287.17 in 1972. Petitioner maintained large cash reserves in a sham corporation and in a bogus charitable trust controlled by key church officials including petitioner’s founder. HELD, petitioner was not the victim of selective enforcement of the tax laws since the notice of deficiency was based on valid regulatory considerations. HELD FURTHER, various other asserted constitutional rights of petitioner not violated. HELD FURTHER, petitioner was not operated exclusively for an exempt purpose under sec. 501(c)(3), I.R.C. 1954, since petitioner had a substantial commercial purpose, since its net earnings benefited key Scientology officials, and since it had the illegal purpose of conspiring to impede the IRS from collecting taxes due from petitioner and affiliated churches and thus its activities, dictated at the highest level, violated well-defined public policy. This believer is dismayed with the unlearned positions of the Christian representatives as reported in the news. Of course, news media is not always reliable. This author wishes to set the record straight as to some of the incorrect “Christian” positions involved in this controversy. The following is an open letter which was just e-mailed to David Feldman, the Houston, Texas city attorney. RE: False assertions by Christian leader in the matter concerning subpoena (and subpoena duces tecum) controversy. As an attorney who has practiced church and state law since 2005, I am very concerned about the false alleged representations of Tony Perkins (as reported in the news). I am a Christian and I find it very vexing to look at the incorrect assertions of other “Christians” in controversies between church and state. It is time that the truth be brought out when the relationship between church and state in the United States comes to the forefront. “Tony Perkins, the head of the Family Research Council, said pastors around the nation should rally around the Houston ministers. “‘This is a shot across the bow of the church,’ he said. “This is the moment I wrote about in my book, ‘God Less America.’ I predicted that the government would one day try to silence American pastors. I warned that under the guise of ‘tolerance and diversity’ elected officials would attempt to deconstruct religious liberty. I take issue with Perkins on several counts and advise pastors that they should not rally around the Houston “ministers,” unless those Houston ministers and their representatives as well as the pastors who would rally around them repent of their lack of knowledge, embrace knowledge, and then proceed accordingly. My first contention is that the state is not necessarily “breaching the wall of separation of church and state.” Whether the subpoenas were overbroad is a totally legal matter. 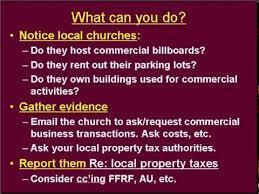 However, if a church involved is a legal entity such as an incorporated Internal Revenue Code Section 501(c)(3) religious organization, that church has already combined with the state thereby rejecting the Biblical, First Amendment, and corresponding state constitutional principle of “separation of church and state.” I explain these matters in much detail in God’s Churches/Spiritual or Legal Entities (a fairly short work which explains church incorporation and Internal Revenue Code Section 501(c)(3) status), and also in the much more comprehensive book God Betrayed/Separation of Church and State: The Biblical Principles and the American Application. I also maintain a website on which all my articles, audio teachings, and books are available free. 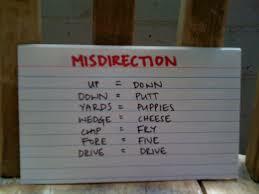 I will just briefly explain some of the intricacies of these matters in these letters. For more details, refer to the resource list at the end of this letter. Perkins complains that the state is breaching the wall between church and state. How can he make such a complaint when incorporated 501c3 churches have already given up much or their protections under the First Amendment to the United States Constitution and corresponding state constitutional protections? They have gone to the state for legal status and certain perceived protections. They have decided to become legal entities and agreed to the terms of that new status. 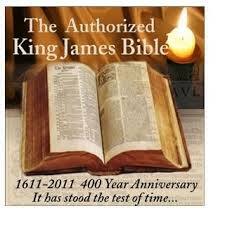 They have rejected their status as New Testament churches under the headship of the Lord Jesus Christ only. By contracting with the state through incorporation, churches supposedly gain certain “protections” while giving up certain constitutional rights. While a corporate church must “obey the laws of its creation,” it also has constitutionally protected rights which are quite different and less effective than the rights she had while a spiritual entity protected by God, and the First Amendment and corresponding state constitutional provisions. A church which is not satisfied with God’s liberty, provisions, and protections (protection of which is guaranteed by the First Amendment) seeks incorporation. Incorporating a church alters the legal status of that church. Incorporation places the church partially under the Fourteenth Amendment to the United States Constitution as a “artificial person.” Such an artificial person is a legal fiction or a creature of statute. Civil law makes clear that the sovereign of the corporation is the state. The civil law of incorporation excludes God entirely as regards certain matters controlled by the contracts created by incorporation. A court will not consider biblical principles in a matter involving a contract dispute out of an incorporated “church.” The court will only look at secular laws and cases. Of course, courts have declined involvement with “ecclesiastical” matters. The court will decide what is ecclesiastical and what is not. Incorporation creates several contractual relationships. Contracts are between the state and the corporation, between the corporation and its members, between the members themselves, and between the members and the state. Obviously, 501(c)(3) is federal law whereas incorporation is state law. However, one must review the state laws of incorporation to understand the relationship of 501(c)(3) status with state law. At the very least, a church which violates (a) 501(c)(3) rule(s) can be audited by the Internal Revenue Service with the option of appeal to federal court from agency determinations. Furthermore, it seems that by obtaining 501(c)(3) status a church has admitted that those matters which are implicated by the 501(c)(3) rules are not ecclesiastical and that infringements of those rules are subject to court action. I get into these matters much more thoroughly in the resources mentioned above and linked to below. The point is that these churches have voluntarily given up much of their state and federal constitutional protections and are subject to court action as to certain matters. They are willing parties to the contracts and rules created by incorporation and 501(c)(3) status. They have agreed that the state, through its courts, is the controlling party and that they will abide by the decisions of those courts. When an action is initiated in court, all constitutional and statutory rules and procedures apply. An action may be attacked using every legal maneuver provided for. In the matter at hand, incorporated 501(c)(3) churches may not maintain that they have all their First Amendment rights since they now fall under the Fourteenth Amendment as to non-ecclesiastical matters. The court, being the controlling party, as stated above, decides what is ecclesiastical and what is not. Again, 501(c)(3) churches have, in return for what they perceive to be benefits from the federal government, conceded that certain matters are not ecclesiastical. By willingly (or ignorantly) becoming legal entities, these churches have denounced the Biblical principle of separation of church and state and placed themselves partially under a head other than the Lord Jesus Christ. Ironically, sometimes such churches argue that separation of church and state is not in the constitution and at other times they argue that the state is breaching the wall between church and state. They also sometimes make the false argument that the wall between church and state is only meant to keep the state out of church affairs and not the church out of state affairs, even though most such churches have corporate 501(c)(3) status and have agreed to the accompanying laws and rules. P.S. Following are links to the free online and PDF forms of books and other works by Jerald Finney. An Abridged History of the First Amendment is available in online and PDF form only. Note. This is a continuation of the examination of Chapter 18 of Approved by God, a chapter which attacks the ordinary (Bible) trust, written by Ben Townsend of the Ecclesiastical Law Center (“ELC”). This article looks at the second section of that chapter. The ELC begins this section by stating that that the “Declaration of Trust” (“DOT”) is a trust document. That is true. The DOT is a document which creates a trust. They are not right about their strong stand against the DOT based upon that fact. As shown below, it is ironical that the ELC has declared that the method they use establishes a type of trust. See Analysis of “The Questions will keep coming,” the last section of Chapter 18 of Approved by Man; that is, the ELC has declared a trust for those using their methods, but their trust must be a business trust or some other kind of trust because they quote from the laws dealing with various kinds of trust, but never from trust law covering the ordinary trust such as 76 AM. JUR. 2D Trusts. They exemplify this in the very section being analyzed in this chapter. The ELC never quotes from this volume when attacking the ordinary trust, and this is the volume that explains the ordinary trust. They quote nothing from 76 AM. JUR. 2D Trusts which explains the law of ordinary trusts. Rather, they quote for 13 AM. JUR. 2D Business Trusts. There are considerable differences between an ordinary trust and a business trust, some of which are explained in Is the Ordinary Trust a Legal Entity? Again, there are various kinds of trusts. Some are legal entities. Business trusts and charitable trusts, for example, are legal entities. The ordinary (Bible) trust is not. Honest research requires finding the right law. To repeat a very important fact, the ELC has a Declaration of Trust. It is in print. This will be shown below by quoting word for word from their own published books. You can look at their declaration and their source definitions and see if this is the truth about this matter or not. The type trust they recommend (without realizing it) must make a church who utilizes their method a legal entity. That means that, as a legal entity, that church is partially under another head other than the Lord Jesus Christ. Of course, as long as no one makes an issue of it, the church so organized may continue without interference. In the meantime, only the Lord Jesus Christ is grieved because His church has unknowingly submitted herself to civil government. “It is impossible for a New Testament Church to remain a New Testament church if that church chooses to do one thing which may result in legal subjection to the civil government. In other words, when a New Testament church does anything contrary to Scripture which gives even partial claim of sovereignty over that church to the state, that church has committed a wicked act which subjects her to another head, thereby greatly displeasing the Lord. That church has betrayed the Lord. For many reasons, a church placing tithes, offerings, gifts, and properties in an ordinary trust (which is a non-legal entity) – as opposed to placing tithes, offerings, gifts, and properties into a legal entity such as a corporation, a business trust, charitable trust, or any other legal entity – is the perfect biblical way to do so. Remember, as pointed out in various places in this booklet, that the true, equitable, and beneficial owner of the trust estate of the ordinary trust utilized by the BLC and by the SCSLM is the Lord Jesus Christ, not the church and not the trustee. The Endnote below links to the entirety of Section VI, Chapter 7 of God Betrayed; that chapter explains the Declaration of Trust and the ordinary trust, and compares incorporation with the ordinary (Bible) trust and proves that they are entirely different. It explains in detail exactly what each is. The ELC quotes here from 13 AM. JUR. 2D Business Trusts. That is the wrong volume to research the ordinary trust. The ordinary trust may be distinguished from the business trust in many ways. A few follow. The ordinary trust is very different from the business trust described in 13 AM. JUR. 2D Business Trusts. In an ordinary trust, unlike a business trust, there is no business to be carried on, trustees are not elected and provisions in the DOT provide for a successor trustee in the event the trustee wishes to step down, become incapacitated, die, etc., there is no beneficial interest and the transfer thereof, there are no shareholders, profits, or dividends. The ordinary trust is not a legal entity whereas the business trust is. See 76 AM. JUR. 2D Trusts which lays out the law of the ordinary trust. What is so ironical about the ELC attacks against the ordinary trust and the DOT is that the ELC has declared their own trust in writing; they have made a written “Declaration of Trust.” If you doubt this, please go to pages 149-150 of Approved by God: A Case for Modern Disestablishment (Mesick, Michigan: Adorn Books 2004), an ELC book. Pages from that book are quoted below. Compare their words with the words from the definitions they rely on to attack the ordinary trust. It is apparent that they are declaring some type of trust. According to the declarations of the ELC, they recommend a type of trust (maybe a business trust) by which “property should be held by the church in trust for the Lord Jesus Christ, who is the true and beneficial owner.” (See, Robin Wright and Ben Townsend, Approved by God: A Case for Modern Disestablishment (Mesick, Michigan: Adorn Books 2004), p. 149.). The ELC states that for property be held to reflect the ownership of Christ over His church “the property should be held by the church in trust for the Lord Jesus Christ, who is the true and beneficial owner.” (Approved by God, p. 149). “(3) as an individual. How can property be held to reflect the ownership of Christ over His church? It must be held as an individual, and that individual must be the Lord Jesus Christ! The property should be held by the church in trust for the Lord Jesus Christ, who is the true and beneficial owner. In spite of the skepticism of many, churches in 22 states have placed their property in the name of the Lord Jesus Christ without incident.” Approved by God, p. 149. The book goes on to say that “the church, by the Pastor, can execute a deed on behalf of the Lord Jesus Christ.” Ibid., p. 150. The last paragraph of the section which is the focus of this article, “Why such a strong stand against the Declaration of Trust?” states: “So, every resource cited has explained that the Declaration of Trust is a Trust document. And placing church property in a Trust is no different from placing it into a corporation.” The last sentence is another totally ridiculous statement on two accounts. First, the ELC unknowingly condemns their own method, and correctly so. Their statement may be correct as applied to the trust they recommend since it is irrefutable that the trust they recommend must be based upon the law of some type trust – such as business trust or charitable trust – since all their understanding of trusts is taken from trusts which are legal entities. Apparently they have never examined the law of ordinary trust, or, if they have, they have ignored it because it defeats their attack against the ordinary trust. Second, corporations and some kinds of trusts are legal entities. A business trust is a legal entity and has other similarities to a corporation. On the other hand, the ordinary (Bible) trust which I recommend is not a legal entity and is totally different from a corporation. This is explained in detail in Separation of Church and State: God’s Churches – Spiritual or Legal Entities? 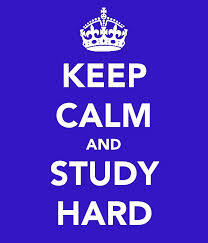 The ELC and those who depend thereon need to study these matters. Since pastors have a full time job, they need the assistance of those with legal as well as Bible knowledge. A correctly worded and implemented Declaration of Trust which makes clear that from henceforth, a church abandons the ELC declaration as well as other measures will assure them that they are accomplishing their goal or glorifying God. The trust which they establish creates a legal entity. They should adopt a DOT which establishes an ordinary trust. For many other reasons other than those already indicated in these articles, that would be by far their best course of action. Click here to go directly to the online version of Section VI, Chapter 7 of God Betrayed/Separation of Church and State: The Biblical Principles and the American Application. 13 AM. JUR. 2D Business Trusts15 Am. Jur. 2d Charitable Trusts76 AM. JUR. 2D TrustsAnalysis of “Why such a strong stand against the Declaration of Trust?”Ecclesiastical Law CenterELCShould a church be placed in a declaration of trustWhy such a strong stand against the Declaration of Trust?